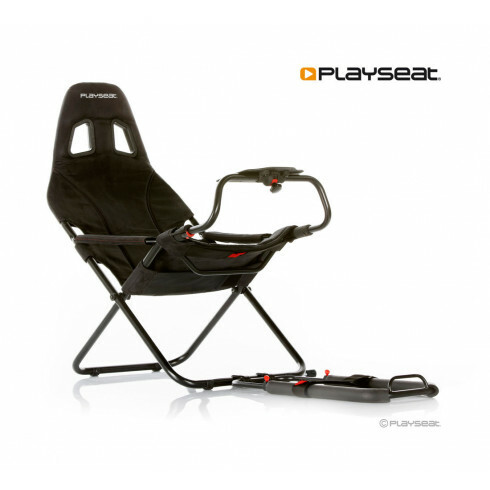 Challenge your kids to race with the Playseat® Junior! This seat, designed especially for children, is very compact and stable. This seat is very compact, stable and adjustable. Every position is possible. Thanks to its unique foldable design, it uses little space when not in use, so you can store it in a wardrobe or beneath a bed. The seat is made of Alcantara material. Steering wheel and pedals are not included. 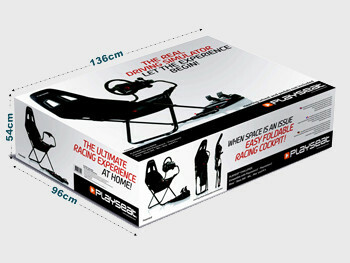 This game chair really is a mini version of the famous Playseat® game seats. I already had a Playseat® SV, which is a really good simulator seat, but even in this small Junior you can find the high quality and detail that they put in the large game seats. My son loves to challenge me and he really enjoys the “real” car seat. The foldable design is really nice because the seat fits underneath a bed or in a closet. I've been a sim racer all my life and lately I started to notice that my children also became interested in the racing world. I bought the Playseat Junior for my oldest son's birthday and he's been racing more than I am! It's really great to see his enthousiasm, and his skills are getting better every day. I wonder how long it will take before I have some serious competition! After Playseat convinced me with their amazing racing chairs, I decided to buy a Playseat Junior for my 9 year old son. I thought I loved racing games, but since he has his own racing chair my son just won’t quit racing (and he’s getting pretty good at it too). It’s really nice to see him and his friends and nephews enjoy the chair so much. It’s definitely worth the money and I would really recommend the Junior to every dad who wants to have as much racing fun with his kids as we do now.